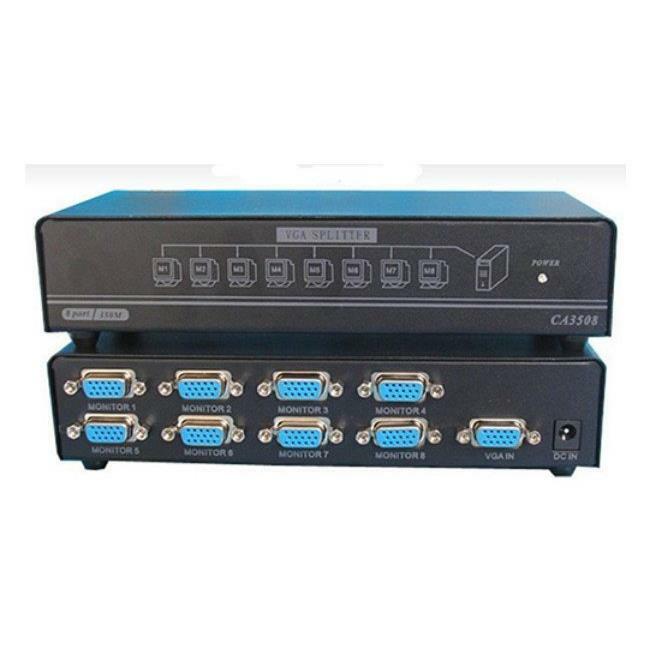 8-Port VGA Video Splitter 350MHz simultaneously delivers high resolution VGA video from a single source to up to eight separate monitors. With support up to 350MHz VGA video bandwidth and resolutions up to 1920 x 1440, this high performing splitter offers superior image quality. Monitors can be positioned up to 30m (100ft) away from the VGA video source. Simple to install and featuring side connection ports, this durable unit can lay flat on or under your workspace.